Seva Maple Water. /Courtesy Seva. In need of a post workout drink that’s not coconut water? Try maple water. Looking for a natural way to keep hydrated all day long? Coconut water is so last year. Maple water (also known as maple sap), originally cultivated by First Nations, contains 46 essential nutrients including significant concentrations of abscisic acid (important in the fight against diabetes), antioxidants and many essential vitamins and minerals, especially zinc according to research at the University of Rhode Island. It has half the sugar (5g per 250ml) and half the calories (20 cal per 250ml) per serving of coconut water. Sugar maple trees (Seva’s come from Quebec’s Laurentian Forest) are tapped in spring for the clear water that flows naturally from them. With a taste akin to water but with a subtle sweetness, maple water can also be used in cooking. Best of all, there are no sugars, artificial sweeteners, or preservatives added and it’s organic. 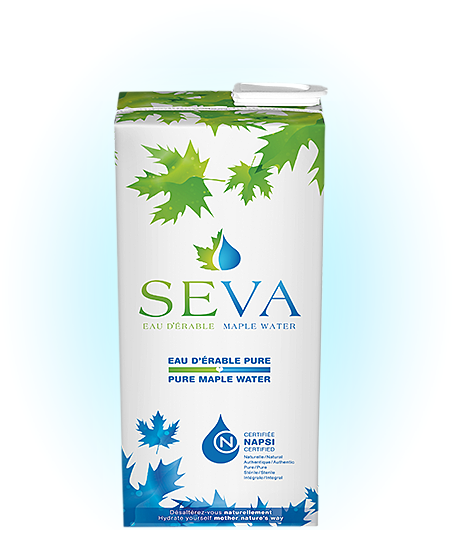 SEVA 100 % pure maple water 1L, $4.99; 330ml $2.29. This article originally appeared in the Fall 2014 issue of City Style and Living Magazine.